Reading from the teleprompter, Trump not only unveiled plans for open-end war, he also promised to stop revealing any future US plans. It makes sense to look at the plans they have revealed so far to see what to expect. After all, we all have witnessed working of the plan revealed by the general Wesley Clark in 2007 to take out seven countries in five years. 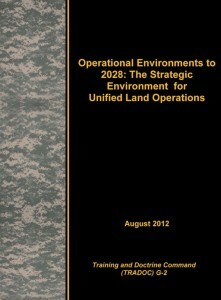 In August 2012, TRISA-Threats published “Operational Environments to 2028: The Strategic Environment for Unified Land Operations”. In this publication, TRADOC G-2 identified potentially contentious OEs and missions the US Army could face, including the OEs of Iran, China, Yemen, North Korea, Pakistan, and Nigeria as possible environments.” For those who don’t know this yet, “Operational Environments” are countries that the US bombs and invades. THE TRADOC mentioned here is the U.S. Army Training and Doctrine Command. TRISA is Tradoc Intelligence Support Activity. Keep in mind, this 20-year plan written in 2012 prior to the mass migration from Africa and the Middle East to Europe, but it speaks of the European economic and societal collapse by the year of 2028. This plan also speaks of Ukraine becoming a NATO member, even so it was written prior to the Maidan color revolution and the war in Ukraine. Also, this plan was written prior to the North Korea obtaining the Soviet ICBM technologies from Ukraine, but it names North Korea as “Operational Environment,” or, in plain English, a war zone. The agreement permits American aircraft and warships to access Indian military bases for refuelling, repair and other logistical purposes. This agreement gives the US military a legal foothold in Eurasia. Something they have never had before. 2. 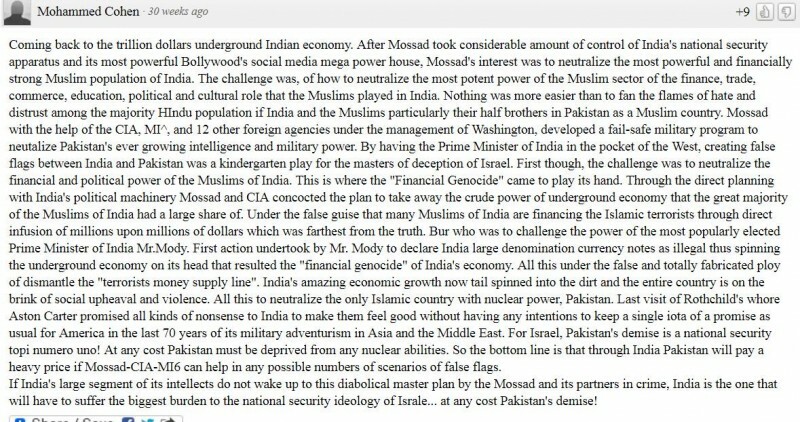 Naming Pakistan a threat to the US. 3. Skirmishes between India and Pakistan, in which the US takes India’s side. 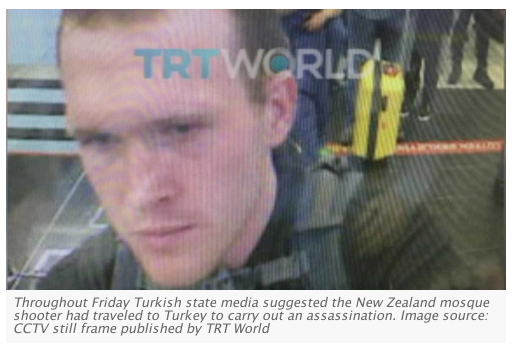 This hostilities were most likely initiated by the US SOF dressed as corresponding militaries. 4. 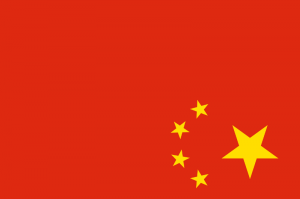 Skirmishes between India and China, in which the US takes India’s side. 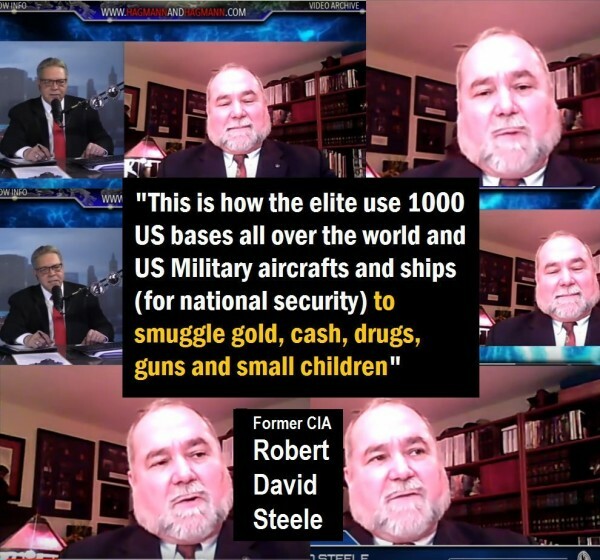 Most likely initiated by the US SOF. 5. Transfer to Korea ICBM technologies from Ukraine by the SBU under a full control of the C.I.A. 6. The attempts to initiate a war on North Korea. So far, the US attempts failed because Russian fleet positioned itself between the N. Korean coast and the US 7th Fleet, and the Russian battleships were ready to intercept anything flying from the US ships towards N. Korea. 11. Blaming Russia for supplying North Korea with ICBM technologies, which has been written into plan in 2012. North Korean spies were arrested in Ukraine in 2011 for trying to obtain these technologies. The arrests and convictions were made by the Ukrainian security services when Yanukovich still was a president. After the Maidan putsch, SBU raided the RD-250 rocket engines manufacturer and seized all its technological documents. 16. 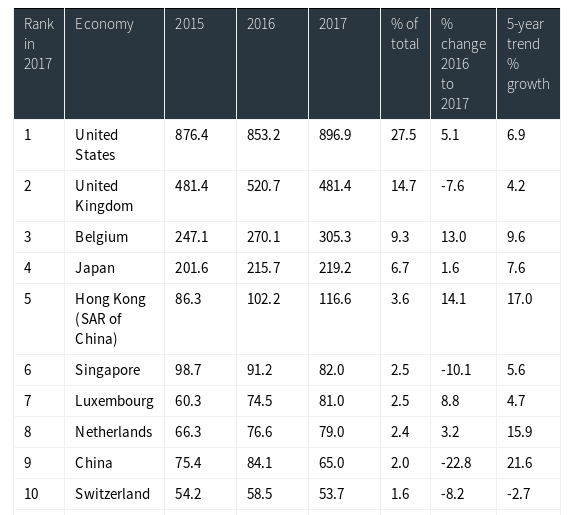 In 2012, the US didn’t see Germany and the EU among four most powerful, economies: the US, China, India and Japan. An indication that back in 2012, there were already plans to destroy the economies of the EU and Germany. 19. In 2012 Pentagon planned that post-2020, after Putin leaves by their estimates, NATO will be able to start an occupation of Russia. “Future deterioration in Russia’s security environment could eventually (post-2020) lead to increased dialogue and mil-mil relations with Russia, potentially leading to combined training or small-scale combined operations with Russian ground forces in the Arctic, the Caucasus, or Central Asia.” In the US terms “combined operations” is something only possible under the conditions of NATO invasion. 21. IRREGULAR WARFARE in and against Russia “U.S. Army involvement in irregular warfare in the Europe/Russia region during the forecast period appears unlikely.” ” One exception that could arise late in the forecast period would involve a request by a weakened Russia for NATO assistance to stabilize key oil producing regions upon which Europe depends.” As of now, the US is conducting an irregular war against Ukraine for three years, and it will go on in perpetuity. 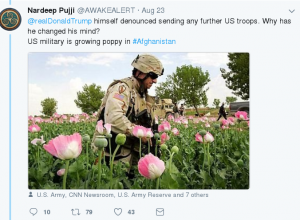 Wars in Afghanistan, Syria, Yemen, and Iraq and Libya to continue as launch pads for the wars in Iran, China, Korean Peninsula, Pakistan, Azerbaijan, and Nigeria. 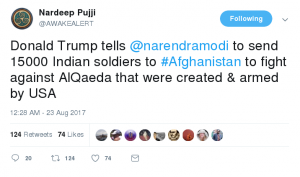 War on China has started using India as a proxy, and later by the US will interfere directly or via proxies in Afghanistan. Ongoing collapse of the European economies with the US will act as a stabilizing military force against civil disobedience. Russia’s economy will be weakened by the devastation of its trading partners in Europe, the Middle East and Asia.